"This is our track." It's the unanimous feeling amongst the team as the final hours before the race come to a close. 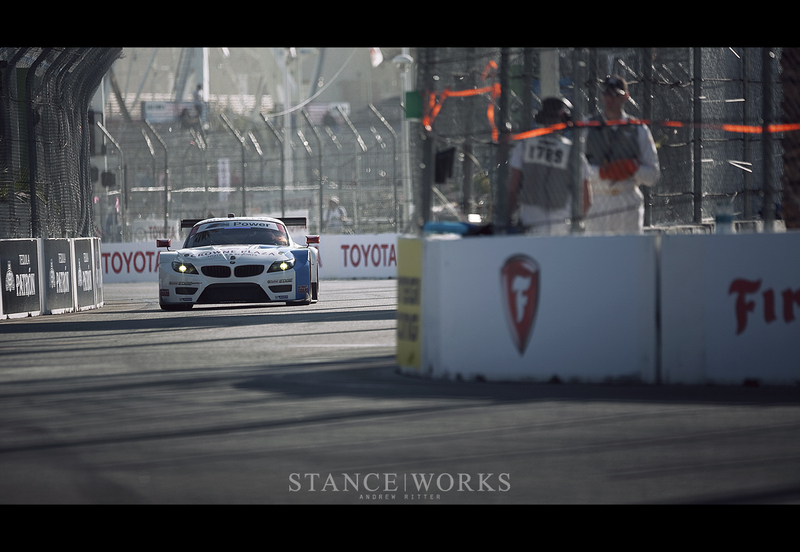 The Long Beach Grand Prix, and Tudor's attached Sports Car Showcase at Long Beach, have fallen in our own back yard - it's StanceWorks' home turf, and for us, "this is our track" takes on a whole new meaning. 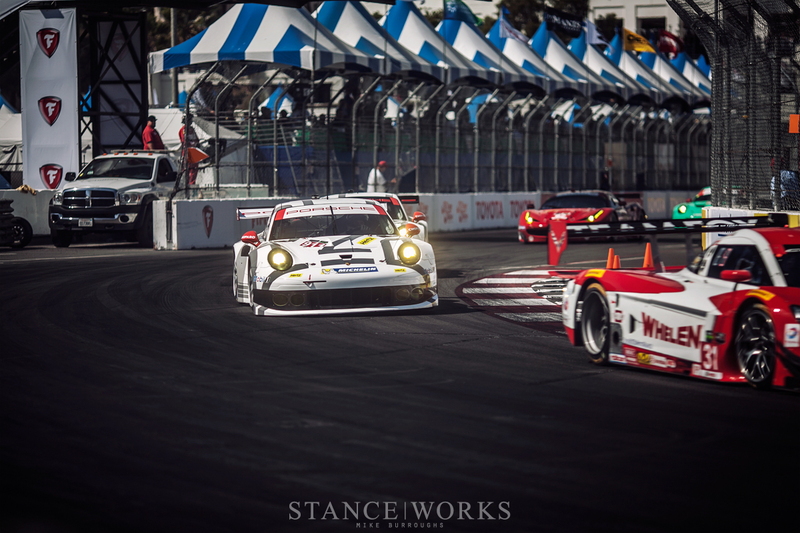 However, for Team RLL, Long Beach serves as a stomping ground for a team wrought with experience for the narrow streets and concrete barricades. 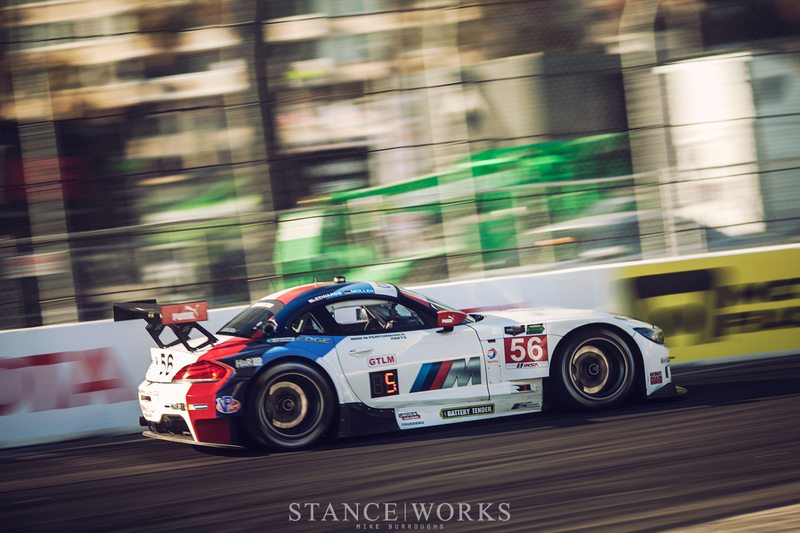 It's been five years since BMW has failed to land on the podium at Long Beach, and 2014 looks to be no different as the cars head for the grid before the race. 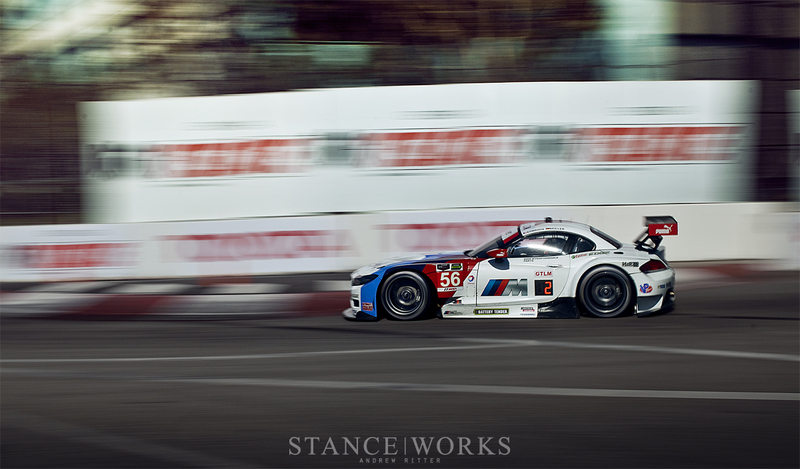 BMW's experience with the famous temporary street circuit gives an obvious competitive edge against their opponents; just last year, during the Z4 GTE's first season, the team managed a 1-2 finish: one for the history books. 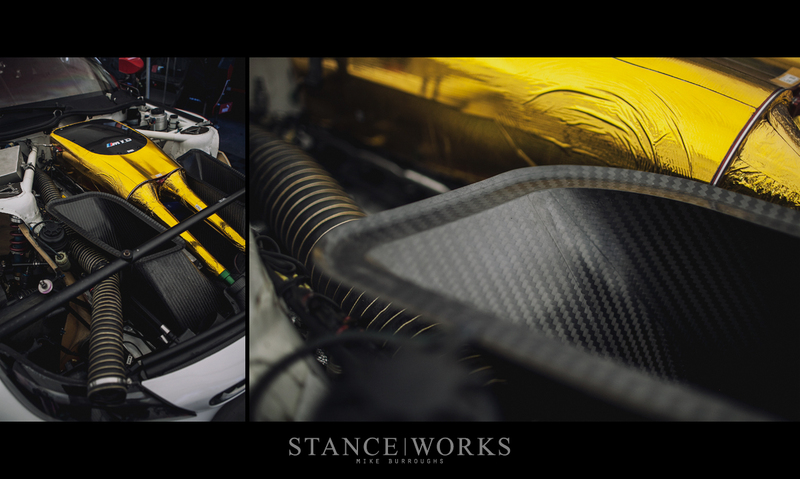 It was a finish that proved promising for the new Z4 chassis - the first year is often regarded as "experimental," giving teams a chance to calibrate the cars, acclimate to their intricacies, and bring them to their full potential. That is, unfortunately, often synonymous with a lack of success in the early races. 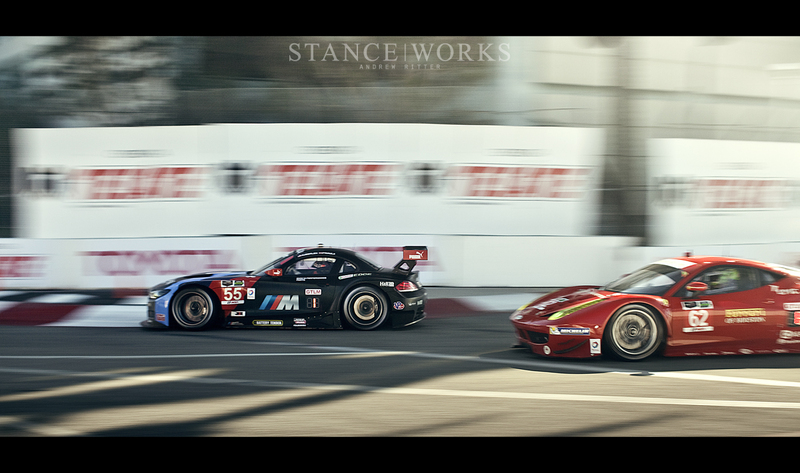 Nonetheless, the Z4 GTE pulled ahead of the pack, leaving big shoes to fill here in 2014. Looking for a repeat, BMW now finds themselves in a somewhat contrasting position. 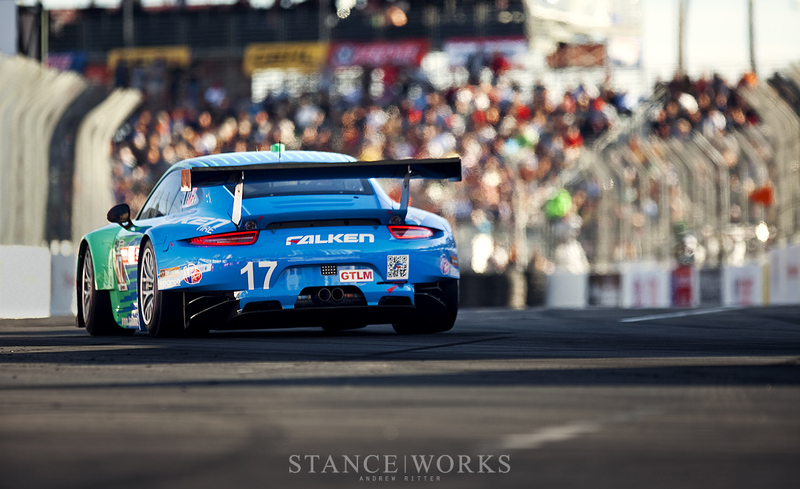 This year, competition arrives in the form of two all-new racing cars. 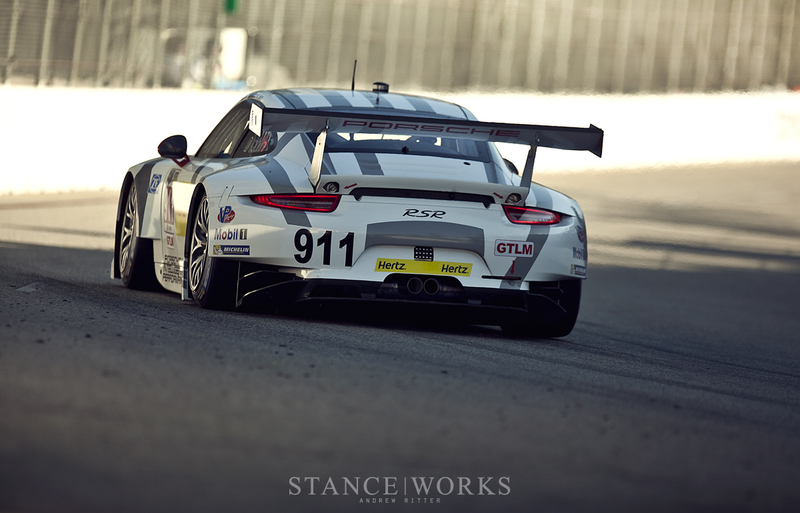 Porsche's 991 RSR, and Corvette's C7R are both in their first year of competition, with kinks of their own to set straight. Neither team has had the chance to log data and analyze what changes are best suited to win the race, meaning it's all up to the teams, cars, and drivers in the heat of the moment. Qualifying brought the pair of Z4 GTEs up near the front of the pack, with Bill Auberlen in the flat-black #55 car sitting in 2nd on the grid, and Dirk Muller in the gloss-white #56 car sitting in third. 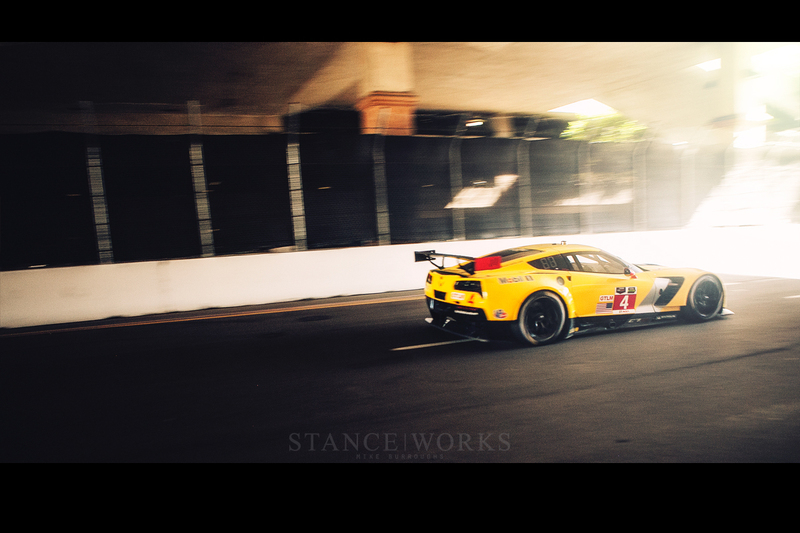 The only car to pass off the line was, fittingly, one of the yellow C7Rs. 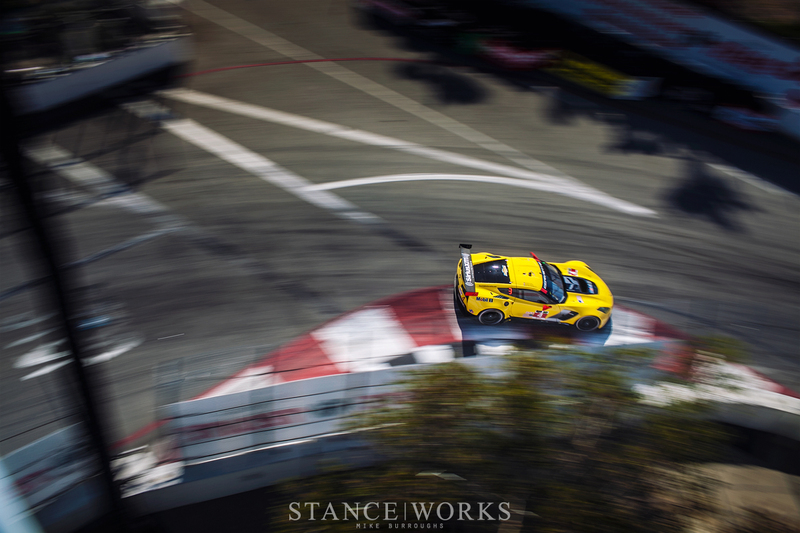 Corvette has played the role as BMW's main competition for the past several years; however, since the Porsche factory team entered the mix, the tides have changed. 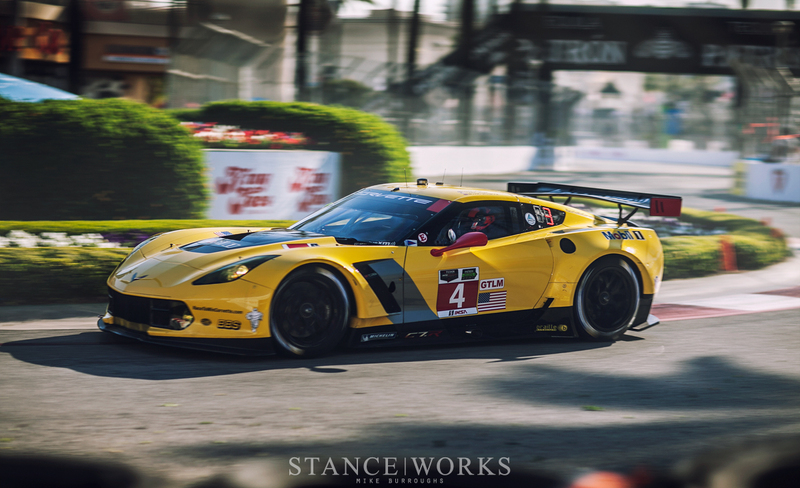 Corvette has yet to win either of the first two races, meaning a #1 qualifying position is an important lead if Chevrolet wants to return to the quarrel. As the pace car rounded its last corner, and the cars took off to begin the 100-minute race, John Edwards and Dirk Muller made advances, moving up from 3rd to 2nd place on the second lap, just behind the #3 Corvette in the lead. 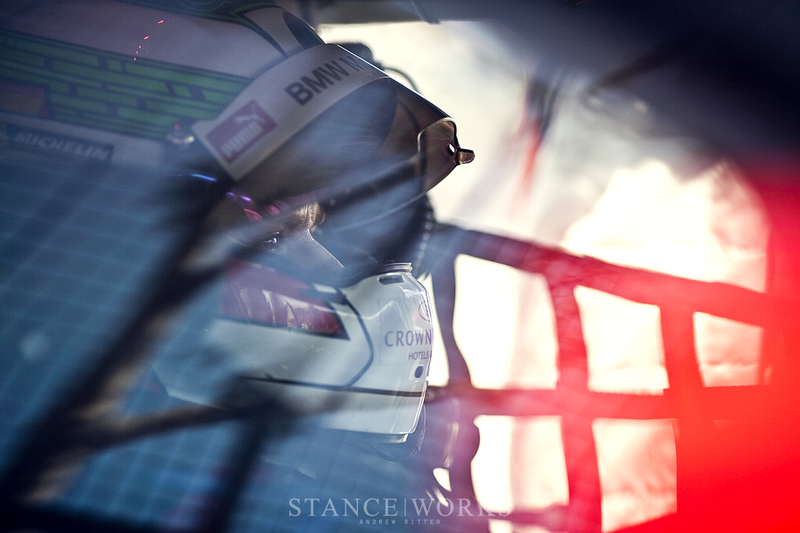 With Priaulx behind in 3rd, the pair of BMWs held their own in the field of GT cars for more than 30 laps. As Priaulx entered the pit on lap 32, his mirror met the wall, calling for a full door replacement. The door replacement cost the crew and team an extra 15 seconds in the pit, and after all was said and done, Auberlen brought the 55 car back onto the track, now behind in 8th place. For the 56 car, catching first place proved all but impossible, with a slower prototype car falling between Muller and the Corvette. 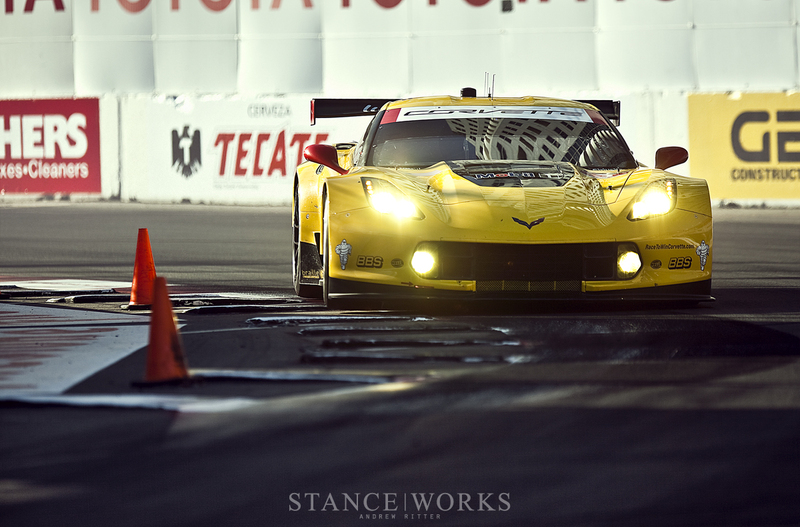 On his tail was the #4 Vette, hunting him down in hopes of a 1-2 podium finish, but Dirk did well in fighting off the yellow beast. 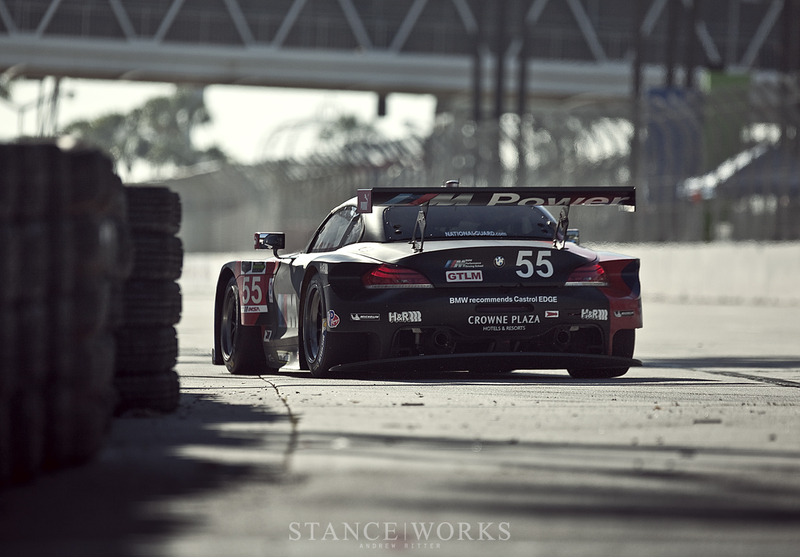 Auberlen did his best, pushing his Z4 to the limit on his "hometown track" , gaining a position on the No. 62 Ferrari and the No. 91 Viper 16 laps later. However, the remaining 24 laps of the race weren't enough to work his way back to the podium, resulting in his first race of the season without a podium finish. Muller on the other hand, faired well, fending off the Vette for the remainder of the race, giving Team RLL a 2nd place finish for the third race of the season. 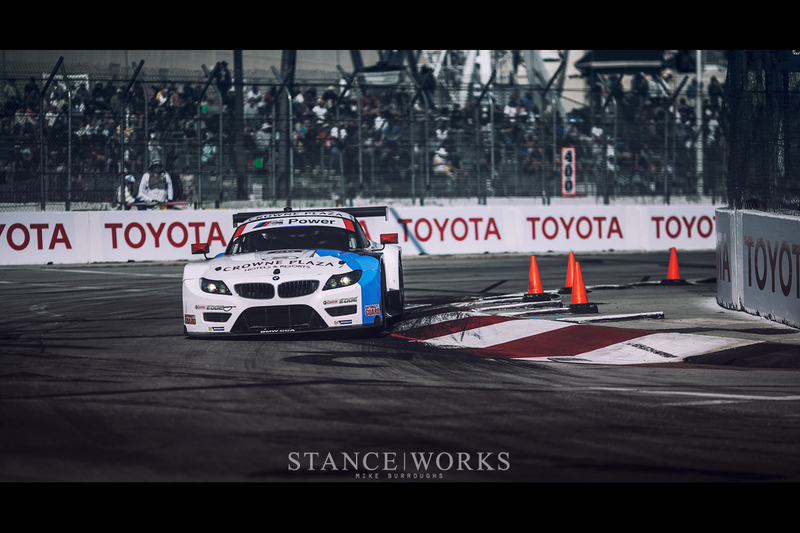 BMW left Long Beach with a 2nd and 6th place finish, which, while in the books may seem like missed dreams, are enough to keep Auberlen and Priaulx in the lead for driver standings, as well as Team RLL in the lead for team points. 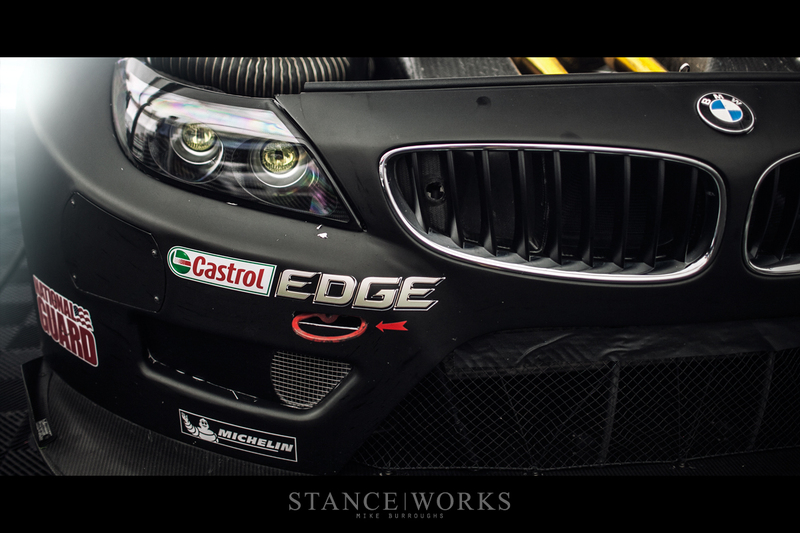 2014 thus far looks like a very promising season for the pair of veteran BMWs. Three races, and three podium finishes thus far this season - the excitement is high. However, BMW must stay fast on their feet, as the C7s have tallied up valuable points with a 1st-3rd finish, their first win of the season. "This is our track." The guys at Team RLL have done it once again, a podium finish for a sixth year in a row. It's unquestionably "their" track - but it's ours too. 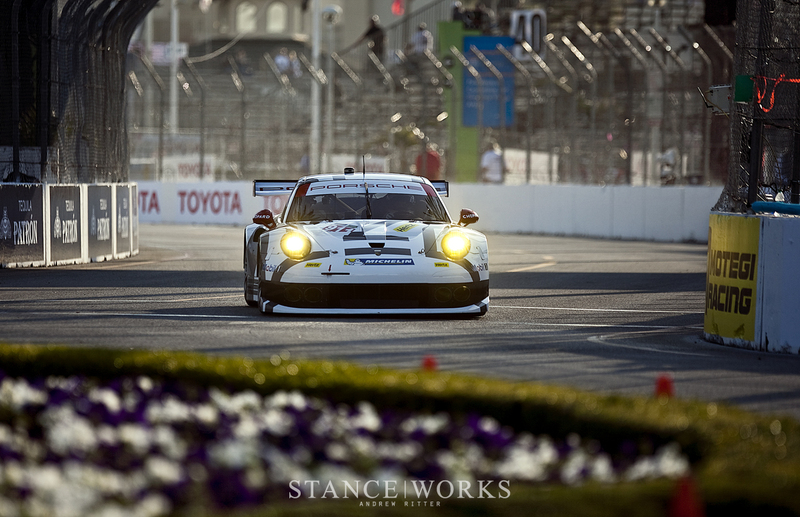 The Long Beach street course serves as our "home stadium," and one of the biggest marks on the S|W calendar each year. 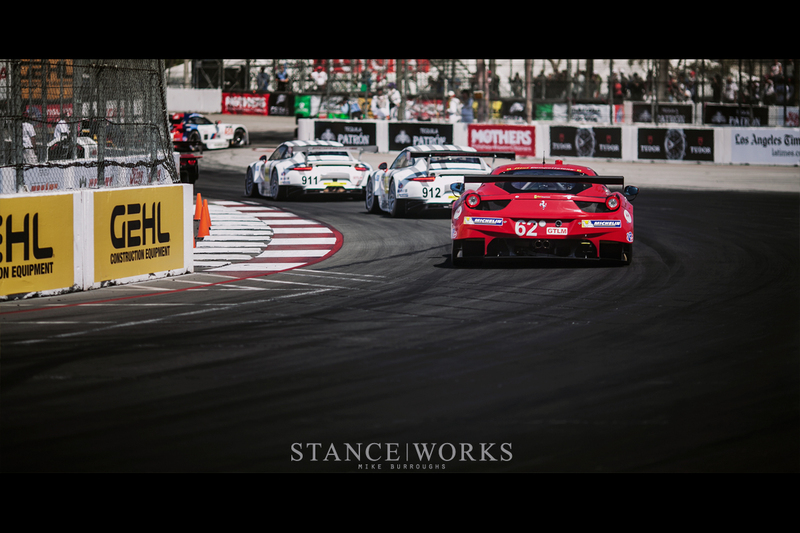 We're anxious as always for the upcoming bouts of the United SportsCar Challenge, with Laguna Seca just around the corner... 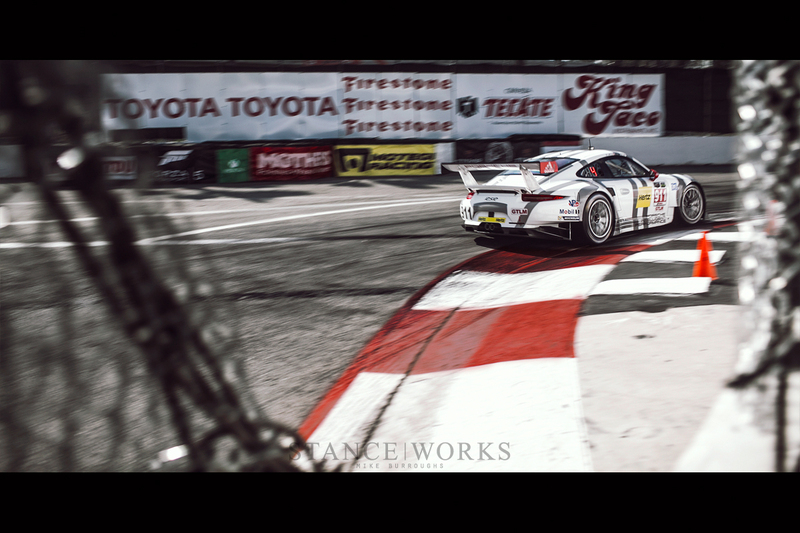 But perhaps we're more anxious for the Long Beach Grand Prix to return once more. Excellent coverage mates!!! I was there! The sound of those machines is intoxicating! Your guys’ motorsports coverage is seriously good. Keep it up. Excelentes fotos. Muy muy buenas!! Sigan asi! !